In keeping with the promise of making the most superior products in the automotive, aviation, marine, outdoor and sports industry that are an essential part of our lives, Garmin is a market leader in creating value and quality for the customer. Indeed, GPS vehicle tracking with Garmin integration has made it easier for business owners to track their trucks and for individuals to monitor their personal cars as well. For business people, this platform has enabled them to facilitate easier communication with various vehicles dispatched from their central places of work, all the way to the field. With the capability of this system sending and receiving alerts and messages in real time has made lots of people start to shun those time consuming (and sometimes dangerous) phone calls as a means of tracking the whereabouts of their vehicles. The end result here is less time wastage, ensuring the safety of your drivers to keep them off the phone while driving and increased productivity. As if that wasn’t enough, GPS vehicle tracking with Garmin integration offers you as a driver a cut and dry communication avenue avoiding a lot of mind boggling challenges on the road and more so with features like the preloaded detailed maps of more than 40 states that offer the latest updates, navigable complex interchanges, easy to search points of interest and addresses mode, you can definitely enjoy your journey. One of the more important things while driving is having the ability to keep your eyes on the road and not get distracted by responding to a phone call or text message. This is undoubtedly the basic advantage here. Need to make more money as a business owner? Here we go! With this tool, your driver(s) can get feeds and avoid traffic jams, road diversions and other pitfalls along the way therefore getting to your destination a lot quicker. With other integration options you can count on various functionalities that you may require. 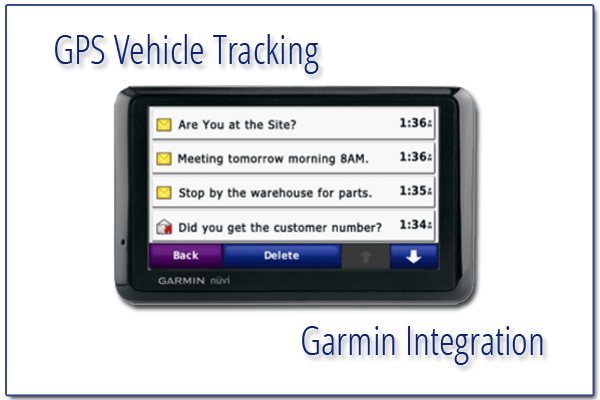 In a large extent, GPS vehicle tracking with Garmin integration includes tons of features of creating and assigning tasks based on addresses, monitoring job statuses at any time and remotely and ensuring seamless communication between the dispatch team and the team back at the office. This article was written by guest author Samuel Abuya.